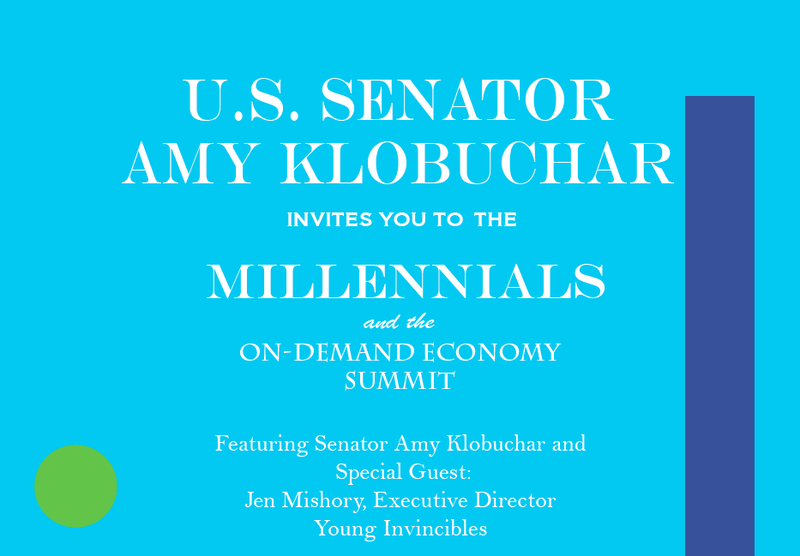 I'm excited to have been invited to participate in Senator Klobuchar's "Millennials and the On-Demand Economy Summit" tomorrow at Sport Ngin. Note that the event time has been revised to 11:30am. 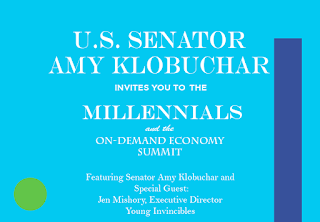 Join us for an engaging conversation about issues impacting Millennials across Minnesota!